LEXINGTON, Ky. (October, 2018) – Breeders’ Cup, one of Thoroughbred horse racing’s most prestigious international events, and University of Louisville are collaborating on a new communications course, COMM 510, which is being offered as part of the university’s Fall 2018 curriculum. Designed to provide students with practical experience and industry-level knowledge of the social media and public relations fields, the course tasks 16 undergraduate and graduate students with marketing the upcoming 2018 Breeders’ Cup World Championships, taking place in Louisville, Kentucky on November 2 and 3. During the semester, students have studied and analyzed literature related to strategic planning, influencer marketing, public relations and social media management and communication, among additional topics. Students have been divided into two teams to develop a strategic approach for covering both the Breeders’ Cup Festival and the World Championships on November 2-3. Students have been engaging in a myriad of roles including creative ideation, social listening, content creation, run of show development, influencer management, social media publishing, event attendance and data analysis. Early this month, students will be presenting their recommendations for social media coverage and will play a key role in implementing their strategy both onsite at Churchill Downs, and remotely. By the end of the course, students will present a final report demonstrating how successfully goals were reached and providing key takeaways for future Breeders’ Cup World Championships. The graduate-level course is being offered through the Department of Communication in the College of Arts & Sciences and is led by Karen Freberg, Ph.D., Associate Professor in Strategic Communications. 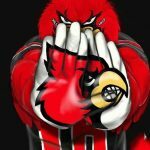 An industry expert, Freberg has more than five years of experience teaching social media and strategic communications courses at University of Louisville. Portions of this year’s class are based on a textbook she authored titled Social media for strategic communication: Creative strategies and researched based applications. Past students of the course have subsequently secured internships and full-time roles at organizations such as Team USA, General Motors, Cision, Kentucky Derby, YUM! Brands, Adidas and Twitter. Founded in 1798, the University of Louisville is a state-supported research university located in Kentucky’s largest metropolitan area. The university serves more than 22,000 students each year through undergraduate, graduate and professional programs in 12 colleges and schools. The university has been recognized and honored for efforts in research, community engagement initiatives and commitment to diversity. 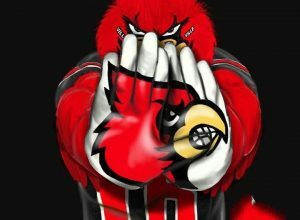 UofL is accredited by the Southern Association of Colleges and Schools Commission on Colleges and is a member of the Atlantic Coast Conference for both academics and athletics. For more information, visit louisville.edu.